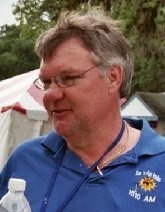 It is with the greatest sadness that I share news of the passing of our friend Terry Fowler, Co-Chair of Sun 'n Fun Radio. Terry passed away this afternoon (Saturday, October 24) after a long battle with Leukemia. He was 50 years old. Final arrangements have yet to be made, I will pass on them as soon as possible. Sun 'n Fun Radio would not be what it is today without Terry. His love of Sun 'n Fun and dedication to SnF Radio made it the success it is. He helped implement nearly all the technological advancements we've made and helped shape radio policies & procedures. We will miss Terry, his smile & infectious love of aviation immensely. At his request a family only service will be held at graveside. In lieu of flowers, the family request donations be made to sun-n-fun.org. The Sun-n-Fun Fly-In was one of the happiest weeks of his life because he was around airplanes and friends; the American Cancer Society (Hope Lodge) 2121 SW 16th Street, Gainesville, FL 32608, which provided him with a home away from home during his treatments; to Amy Misakonis and her team who are running a marathon to raise money to help individuals with blood cancers (http://pages.teamintraining.org/cfl/DMG10/amisakonis); Spacecoast Feline Network, P.O. Box 624, Cocoa FL 32923; or a charity of your choice. I had mentioned to Dave that I will do something at next year's Fly-In because it will be easier on people than having to travel. As you know Terry was diagnosed on opening day of the Fly-In this year. I will never forget that morning. When the Dr. came in with the results Terry was thinking "a couple of pills or a shot and I will be out of here so I can get to Sun-n-Fun.